Thermal-Aid Zoo Natural Heating & Cooling Rabbit is a natural heating and cooling pain relief tool that can be used to help relieve both aches and pains. Thermal-Aid products are reusable and are an excellent pain reliever for children and adults. Thermal-Aid Zoo animals are a 100% natural hot or cold therapeutic treatment option for children. The Rabbit can be heated in the microwave or cooled in the freezer. This product is made from 100% natural cottion and the heating/cooling element is composed of a specially engineered corn. 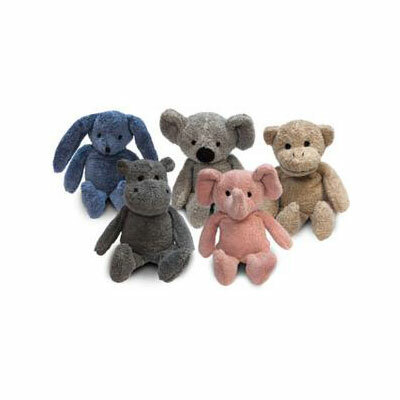 Unlike other natural packs, the blue bear is washable which allows you to use it repeatedly. Provides hot or cold therapeutic treatment. Universally tested and doctor recommended.